20l. 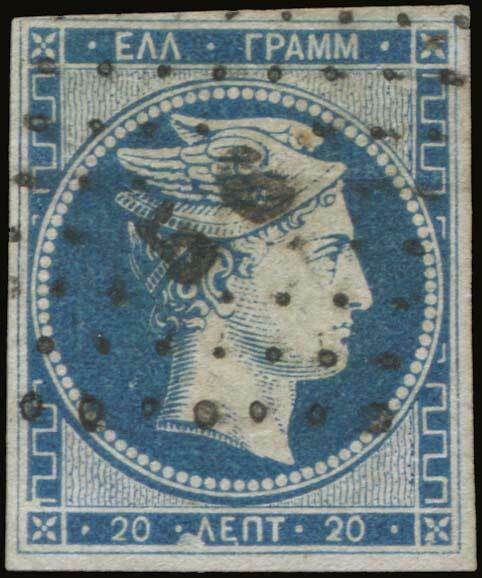 blue (pos.17), plate flaw white spot on the Greek border, used. A tiny thin spot, otherwise fine and scarce. (Hellas 5a20F4).